Old favourites and heirloom crops are making a comeback in readiness for tomorrow’s fruit and vegetable markets, an international crop genetics expert said in Brisbane this week. 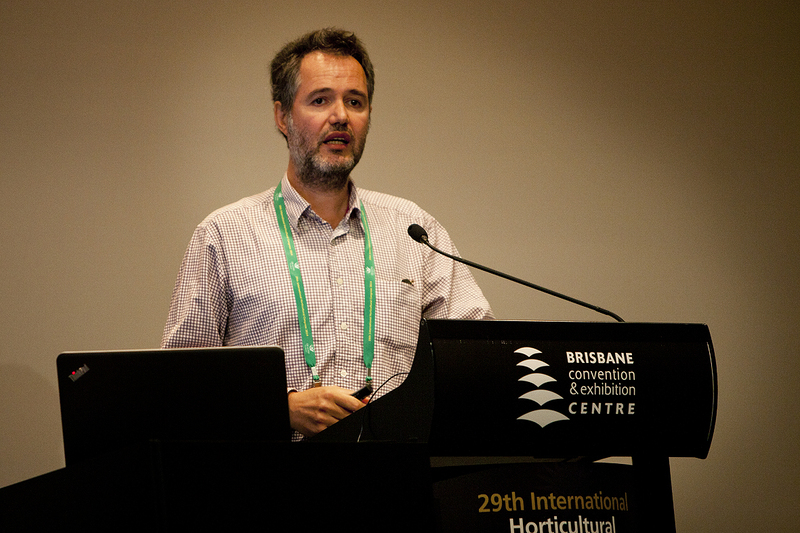 Polytechnic University of Valencia (Universidad Politécnica De Valencia) Prof Jaime Prohens told the International Horticultural Congress in Brisbane this week, consumers were demanding familiar local varieties of fruit and vegetable that are packed with flavour. “With higher yield, the concentration of nutrients, sugars and other compounds makes modern varieties worse than old, local varieties in terms of flavour and nutritional properties,” Prof Prohens said. He said heirloom varieties of popular produce, were attracting greater interest in many developed countries because they are associated with traits highly valued by modern consumers such as localised production, organic composition and taste. “Consumers in developed countries are demanding these old varieties because they have better flavour and health properties, and they are associated to the local production as well as the flavour of the past,” he said. Scientists are also experimenting with plant breeding and selecting to help improve these local varieties by removing undesirable traits like prickliness and enhancing important qualities like flavour. He said the characterisation, selection and breeding of local varieties of produce can only become more common in the future as consumers demand “better” flavours and nutrition of heirloom produce. But he said despite their local popularity and sustainability, local varieties face problems with exportation due to their short shelf life, with the heirloom produce lasting just a few days unlike modern varieties which can last for weeks or months in the fridge.